We give a new proof of the Mordell–Lang conjecture in positive characteristic, in the situation where the variety under scrutiny is a smooth subvariety of an abelian variety. Our proof is based on the theory of semistable sheaves in positive characteristic, in particular on Langer’s theorem that the Harder–Narasimhan filtration of sheaves becomes strongly semistable after a finite number of iterations of Frobenius pull-backs. 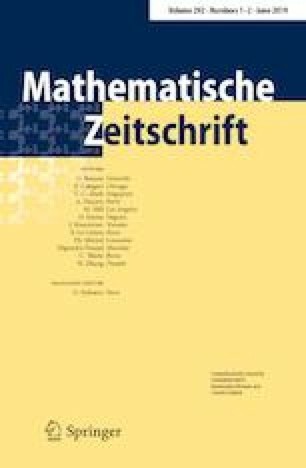 The interest of this proof is that it provides simple effective bounds (depending on the degree of the canonical line bundle) for the degree of the isotrivial finite cover whose existence is predicted by the Mordell–Lang conjecture. We also present a conjecture on the Harder–Narasimhan filtration of the cotangent bundle of a smooth projective variety of general type in positive characteristic and a conjectural refinement of the Bombieri–Lang conjecture in positive characteristic.